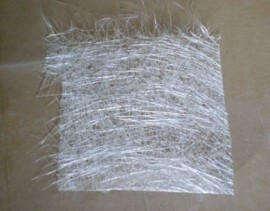 Chopped strand Mat 300 gm per square mtr. This is a general purpose, high quality, fibreglass mat for laminating with polyester resin. This mat is the lighter of the 3 available weights which we recommend for mould making and cases etc.